A little friend helped show me just how simple a fragment could (should?) be. 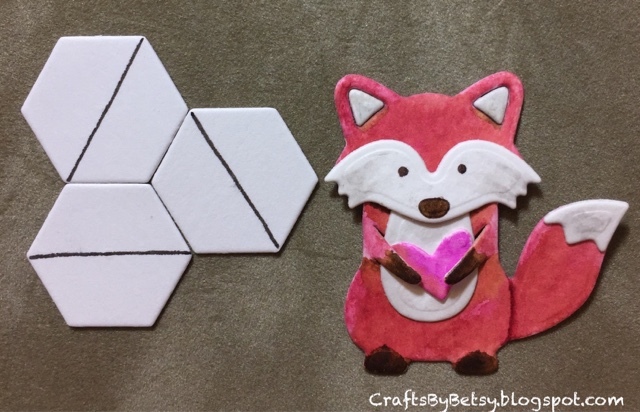 This fox is a die cut set from Karen Burniston that is cut from white watercolor paper, water colored then assembled. Adorable isn't he? And I'm still using my Papertrey Ink hexagon cover plate die. 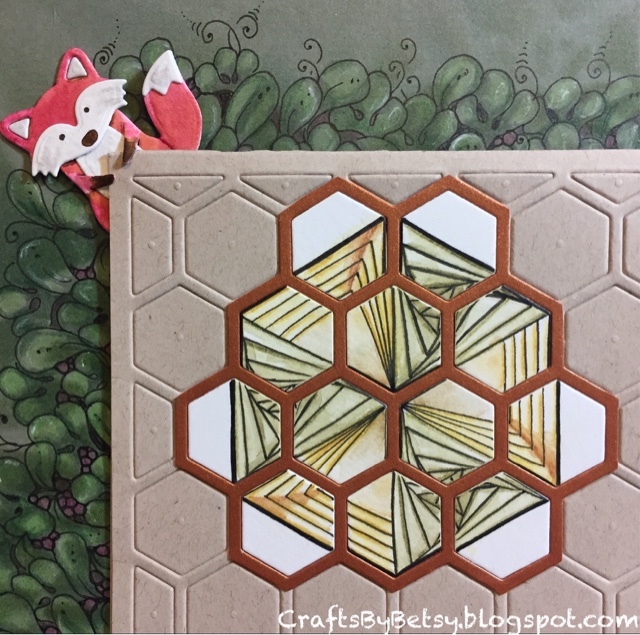 This time I cut from Strathmore mixed media paper. 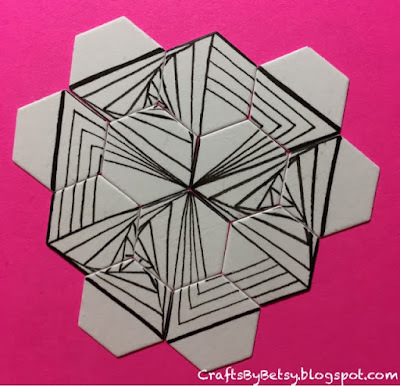 Reticula and fragments from a different perspective! I saw some extremely basic geometric inspiration on Pinterest. Wow, I have grown accustomed to seeing triangles within the hexagon, but this made me look at things quite differently. 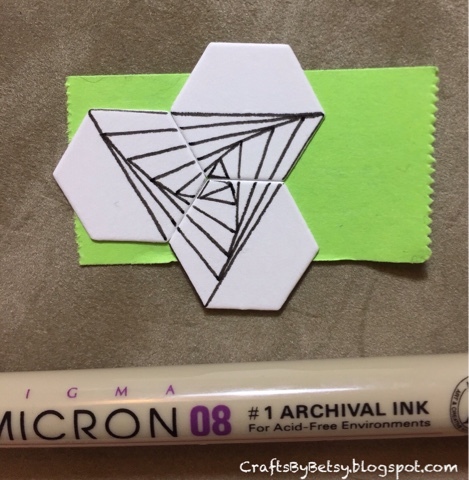 I put the hexies on the back of a piece of post-it tape to keep them corralled while I drew. 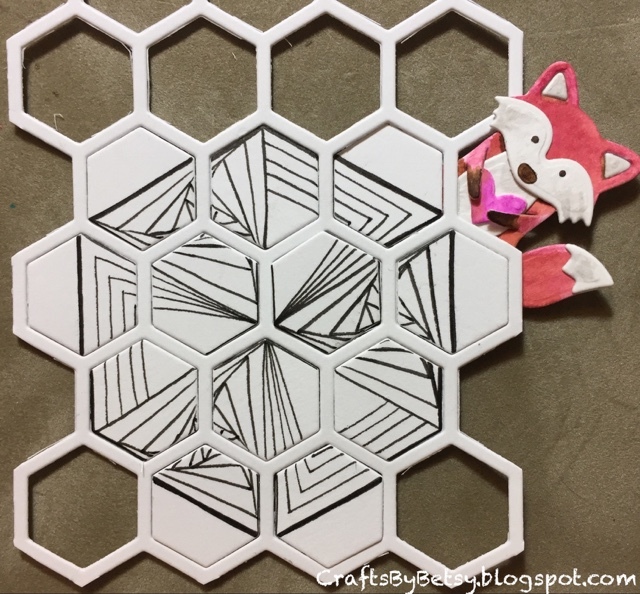 I started putting the puzzle pieces together and went for a pattern that radiates out from the center. 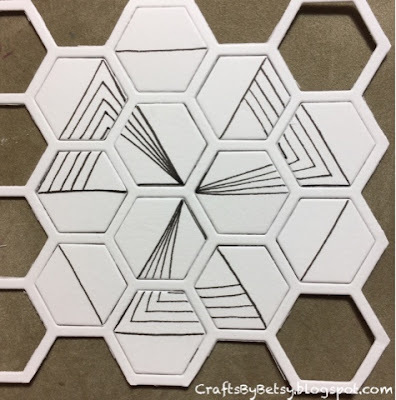 I tried them out in the honeycomb frame. 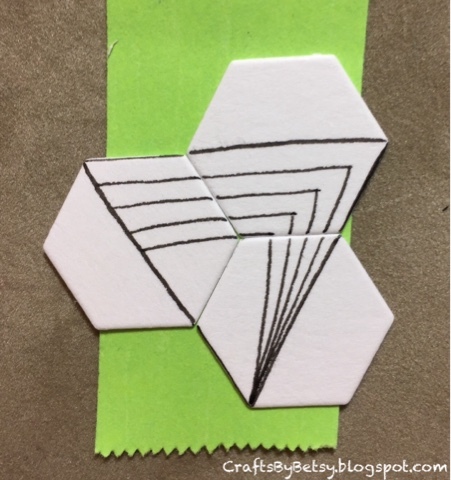 Did you notice the large hexagon created by the 6 triangles? Too cool! I temporarily adhered them to some cardstock for watercoloring. 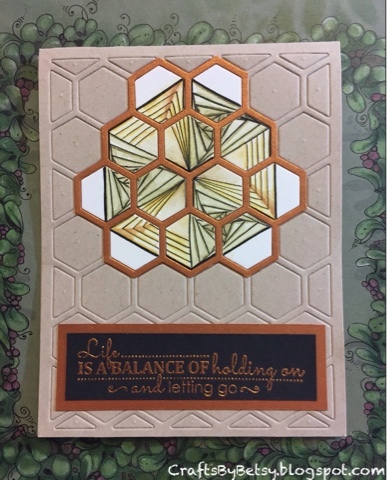 I decided to emboss the coverplate on a card with the design (I die cut copper card and then hand cut around the honeycomb Reticula to just frame my design) and add a little stamping ( stamp by Momenta) and embossing powder. I hope you enjoyed your Thanksgiving holiday. Thanks for stopping by. Wonderful post and lovely ideas with the hexagons! 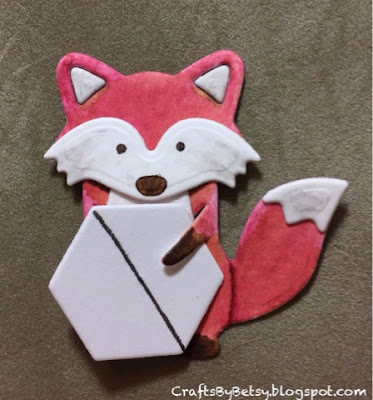 Cute little fox!